The highest of them all, which without the circle looketh to the earth, they use to call The King, because he should have beene King of England (forsooth), if he had once seene Long-Compton, a little town so called lying beneath, and which a man, if he go some few paces forward, may see; other five standing at the other side, touching, as it were, one another, they imagine to have beene Knights mounted on horsebacke, and the rest the army. King of England thou shall be. As King of England I should be known! 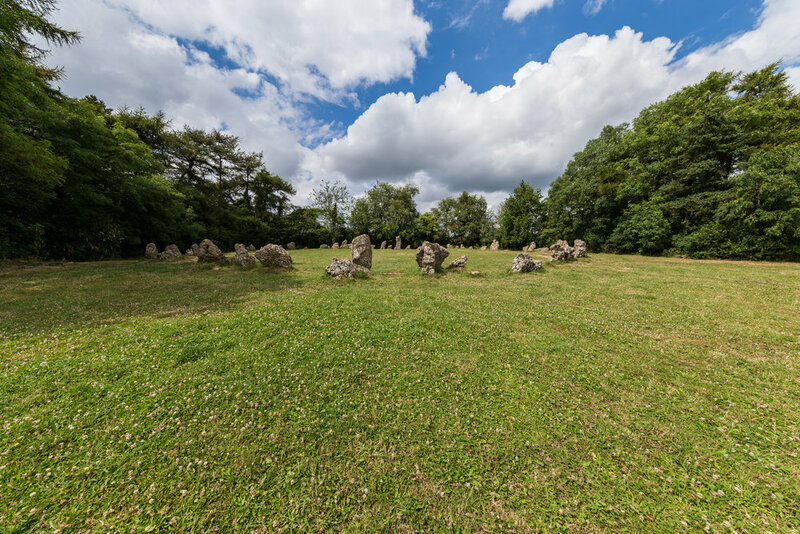 Three of the general traditions about megalithic monuments are found here. The first is that whoever removes a stone will suffer dire consequences. Simple admonishments in the form of quick tales such as, "a man who takes a stone to bridge a stream could have no rest until he removed it back again." Another more dramatic tale describes how it took four horses to drag a stone downhill, and two of the men who helped were killed in the process; but when the villagers decided to return the stone, it moved so easily it only took one horse to drag it back uphill. Another is very common "uncountable stones" legend. A baker brought a certain account of loaves to place one on each top of stone to get a solid count of them, but his loaves were not sufficiently numerous, or some sorcery displaced them. 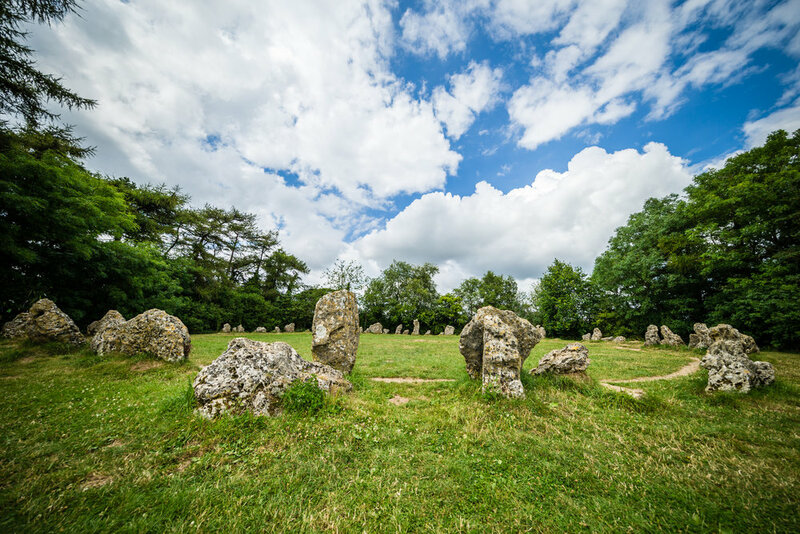 The third most common theme is that the King stones and/or the Whispering Knights come down the hill at midnight to drink from a spring in LIttle Rollright Spinney. The last and oldest is that fairies have been seen on the site, especially in the vicinity of the King Stone.